The Flamenco Festival London began last night with one of the key figures of this Spanish art: Sara Baras, a woman whose sole name is already a synonym of flamenco. With the show La Pepa, the Spanish dancer and her company brought the magic from Southern Spain to London, along with a bit of history from their country: La Pepa was the nickname of the first constitution that existed in Spain, in 1812. That piece of history is the motivation behind this show. It represented freedom, and for Baras that represented art. 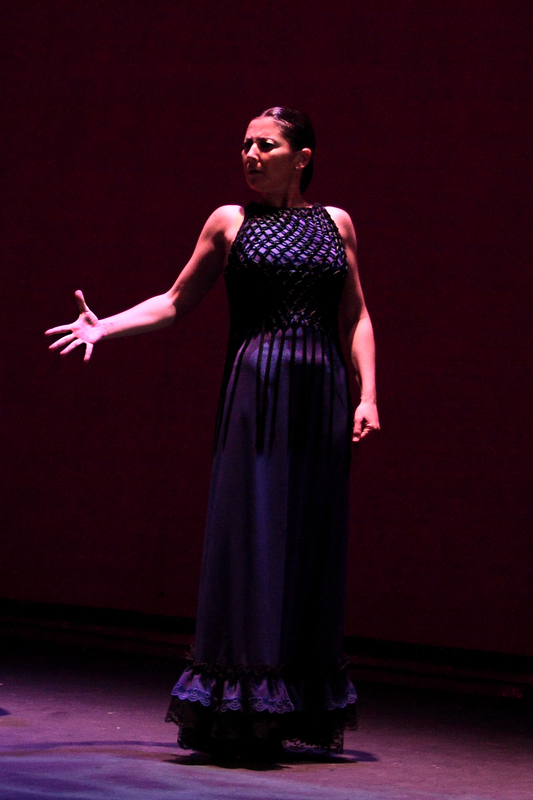 With Sadler’s Wells Theatre completely packed, the dance show began with a quick reminder that the performance would be dedicated to the memory of the recently deceased Paco de Lucía, one of the greatest figures of flamenco, a dedication that an emotional Sara would repeat later at the end of the show. Even though it takes a while for Baras to show up, the rest of the company keeps high standards all the time, with an impeccable dancing and an even greater synchronisation, both of which make their flamenco as beautiful as it can be. Also surrounded by an adequate set and lighting, the dancers seem to be having a fiesta, dancing around and making it seem so natural, and that is what leads you to think, “for them, it is”, which explains why you have been smiling the whole time. They are representing Spain, but not its stereotypes. They are representing its spirit, and you can breathe it through their dance. And when you are completely immerse in the story, Sara shows up. Everything stops, and there is nothing else but her. She owns the stage and her moves show she is from another world, one we cannot reach. She loves her audience, and the audience loves her in return. She looks at the public, smiles, shows how grateful she is. People shout her name in the middle of her performance, they scream “guapa” and “olé”. By the end of the show, everyone has joined the party that is flamenco. Baras knows flamenco has to think ahead, of the future, so a great amount of performance time goes to the other dancers, the singers and the musicians. When she is dancing with them, Sara blends in like one more, but when it is just her, the clocks stop working. She is so seductive on stage that she makes you forget that you have been staring at her open-mouthed for the past 30 minutes. That is the reaction Baras causes. She is pure energy, love, freedom, a powerful representation of Spain. She is La Pepa.